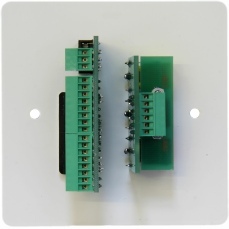 This easy to install wall input plate uses a totally passive design and fits a standard single gang back box. Screw terminals are used throughout eliminating the need to solder on site. 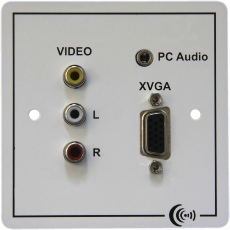 The VGA, Sync, Audio and Video grounds are kept independent to minimised cross talk and reflections for a trouble free installation. Manufactured on a flat steel plate with a durable white finish with black silkscreen.